Consumers who keep kosher may find themselves facing a serious shortage of kosher meats very soon. Agriprocessors, the Postville, Iowa-based slaughterhouse specializing in kosher meat and poultry, is facing closure following its defaulting on a $35 million loan from a St . Louis bank, according to Jewish Telegraphic Agency. The company has also been reeling after United States Immigration and Naturalization Service arrested nearly half the company's workforce following what, at the time last May, was the largest such action by INS ever. At the end of October, a former top manager was arrested after the company was fined $10 million for labor violations. Agriprocessorshas also received a cut off notice from its power supplier. The company has been mired in controversy for months. After the INS raids, the company was charged with 31 labor violations, and has been denying charges by the state of Iowa that it pollutes. A Nebraska-based plant owned by Agriprocessors has also closed down. In addition, production at another kosher processing plant, Minnesota's North Star Beef, has come to a halt following a fire at that plant. According to studies quoted in the Boston Globe, July 30, 86 percent of Orthodox Jews keep kosher homes. That's in contrast to about 25 percent of Conservative Jewish households, and only 5 percent of Reform Jews. 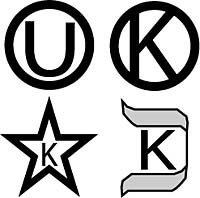 Kosher dietary laws cover all aspects of food, from what may be eaten and which foods may be combined with which, to how animals are slaughtered.